Geothermal cooling systems are the kind of cooling systems that don’t burn fossil fuel that generates heat. These systems transfer heat both ways to and from the earth. So as to improve such type of system within the property, several tips should be taken into consideration during the installation process. 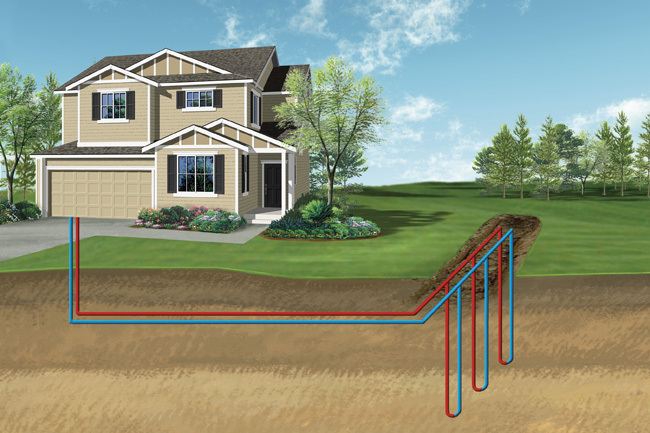 For every homeowner who owns the geothermal system of cooling, they do realize of some of the basics which surround not only its maintenance, but it also involves on how such a cooling system can get improved. Here are some tips that are there to assist one on what homeowners need to check on with these systems. To get started on the installation on the safer side, it would be best to have an installer with you when choosing and also when installing the system. The installer has to be qualified will have to check the heating efficiency production by both the water source and ground source. So as to have the full grasp that the cooling system is genuine, one can check for the ENERGY STAR label which means that the system units is certified by the ENERGY STAR limitations. Apparently, a professional installer ought to know this thus he or she will be of great importance during the installation. So as to have stable heating around, there must be the application of the mode of heat circulation. This way geothermal pipe or in other words the radium pipes will ensure that there is uniform heating all around the house. All connections of the sensors should be on the control board. This will give a sensitive response which does control the situation at which the system is working in at the moment. Isolation of water and electricity has to be done in a proper approach and with much consideration as it entails the safety of the family whose house installation is with this system. It would be the work of the installer to make certain on how he has isolated the two so as to avoid the cases of electric shock taking place. After full installation of the system, the installer and homeowner should recheck if all the operating systems operate smoothly. There has to be an installer, as there are many specifications that have to be met, and some of them the dimensions are required. With such requirements, the only one with such skills happens to be a professional installer. This individual is quite important in the installation of this system, and the installer also has to check the land proposed for the pipes. The soil has to be measured to show the amount temperature release expected from them, the components within it do have the capability to offer great temperatures required or less than required. An amount of soil in the location of the installation does also count; the amount of dirt does assist in the establishing on the kind of designs for the loops created. The soil in some areas does become a challenge as they bring about the formation of new loops that at times are vertical than the usual horizontal loops. System design does involve a lot with how the land looks and the state it is in at the time. The installer has a lot of work and many steps and procedures to go through that will ensure proper installation of the geothermal heating and cooling systems.